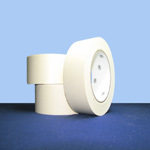 Custom printed tape is an easy and effective method for advertising and marketing your product. Every product that is shipped creates a brand awareness of your company. 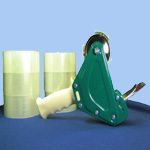 Custom printed tape can be made to your specifications. These tapes create an attractive and professional looking package. These printed paper tapes are water activated. Water-activated tapes are a form of paper tape with a chemical adhesive that is reactivated by water. 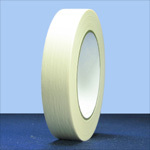 Water-activated tapes are not affected by dirt, dust oil or extreme temperature environments. These kraft custom printed tapes come with one other color. 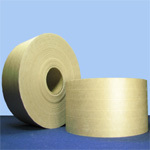 These tapes are non-reinforced and are used for two strip sealing cartons top and bottom. 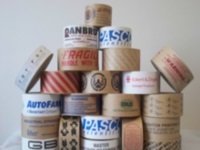 Non-reinforced paper tapes work well on recycled cartons and are recommended for use on light weight cartons up to 20 lbs. The pricing for this product is for a five case minimum purchase. At Boatman Marking we can provide you with the expertise to create an enhanced level of packaging.